— “Ukrainian Prime Minister Arseny Yatseniuk accused Russia on Friday of wanting to start World War III by occupying Ukraine ‘militarily and politically,’ ” Reuters reports. — “The West wants — and this is how it all began — to seize control of Ukraine because of their own political ambitions, not in the interests of the Ukrainian people,” Russian Foreign Minister Sergey Lavrov charged, according to The Associated Press. Kerry also renewed the charge that Russia is funding, coordinating and fueling the armed separatist movement in eastern Ukraine, NPR’s Michele Kelemen reports. Does Russia Have The Military To Take Ukraine? The U.S. may move to increase sanctions on Russia and individuals close to its president, Vladimir Putin. President Obama said this weekthat new economic sanctions are “teed up” if Russia doesn’t begin to cooperate on resolving the crisis. 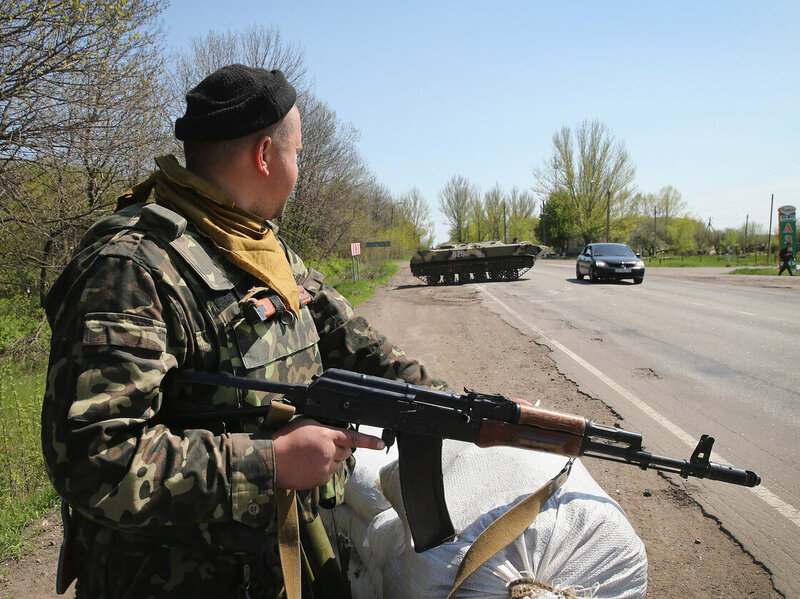 And in eastern Ukraine, government forces have relaunched an effort to root out those pro-Russian elements, correspondent Jessica Golloher tells our Newscast Desk. That brought more harsh words from Lavrov, who accused Ukraine of waging war on its own people. For much more on how the crisis in Ukraine has unfolded, see our earlier posts. — Interfax Ukraine reports that a pro-Russian sniper fired a shot at parked Ukrainian military helicopter, resulting in an explosion. The captain of the helicopter was injured. — Col. Steven H. Warren, a Pentagon spokesman, said Russian aircraft have entered Ukrainian airspace several times in the past 24 hours. “We call upon the Russians to take immediate steps to deescalate the situation,” Warren said in a statement. IS VIOLENCE WHAT GOD INTENDED FOR MANKIND? When will man ever wake up and understand that his way his diametrically opposite to the way of God? 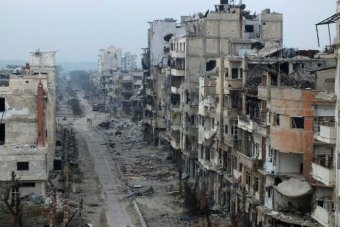 The situation in Syria is in stark contrast to that which is contained in the pages of the Holy Bible, yet not so surprisingly, with many so-called “religious” peoples loosely based around Islam, Muslims hate, persecute and kill anyone even loosely aligned with the religion of Christianity. The effects we see in this war torn nation, in Iraq, in Afghanistan, in Egypt, the “democratic republic of Congo, Sudan, Somalia, Mexico, and the list goes on, are all filled with violence, murder & war! 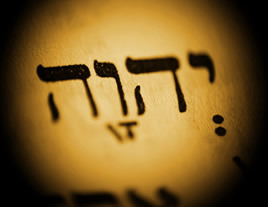 WHAT DID THE ONE TRUE GOD INTEND? Let us suppose that war, and violence and suffering is what should be what humanity should naturally practice as we see in these war torn nations, why do the effects we see repulse the rest of humankind who desire the way of peace and kindness, love, mercy patience? The truth is something that those who continue committing such acts of barbarity will never admit their error, but continue on in, until there would be no flesh saved alive! 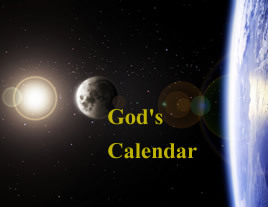 Most professing “Christians” do not connect what God did to the earth in the time of Noah, because the world that then was, was filled with violence, and the wickedness of man was great in the earth! See Genesis chapters 6-7. What resulted was a global catastrophe beyond the imagination of mankind! a catastrophe so vast, as to change the entire topography of earth’s entire surface, and destroying all life, mankind included! That is not something humanity wants to face, yet face this, we MUST! We have no alternative but to address this, or the crucible of war will undoubtedly consume mankind, again! 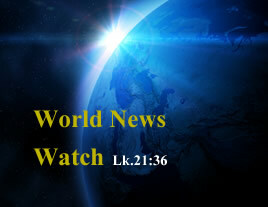 We’ve already seen that the earth was filled with violence, and the wickedness of man was great in the earth. That tells us the same conditions will prevail at the time The LORD returns to the earth as He said. Likewise, He, The LORD said that this violence in the earth would be at a point for mankind, that war would be at the point of destroying the entire earth, and that if it were not for His chosen ones in the earth at this time of the very end, He, God would not cut that time short, but for their sakes He will cut short that time of utter destruction to save life on planet earth! To those of us who believe these and hundreds of prophecies relating to the effects we see all over this troubled earth, there is a cause for every effect we see on our television sets, hear on our radio’s, and see on the world wide web, that prophecy is fulfilled as each moment passes. The escalating horrors of violence all over our troubled planet are shown in Biblical prophecy to continue until The Son of God returns to this earth to replace man’s violence with everlasting peace. In Isa.32:17. God teaches us that through the work of righteousness shall be peace. Is that what we see in these nations filled with evil religions, and their followers? This article may highly offend their peoples, but can any deny that all we see from the vast bulk of Muslim religions is hatred of the west, of “Christianity”, of their fellow man. It seems that no matter where one looks, it is difficult to find any location on earth where Muslims exist where they do not preach hatred and violence. One example is Abu Bakar Bashir, who is in constant defiance of any form of democratic order, or of peace and love to his fellow man. He is currently attempting to upset the peaceful democratic process in Indonesia, and in reality, he is anti-man. The Quran itself does not advocate the wholesale murder of other human beings, although the writings of their “prophet”, Mohammed are skewed on many issues, the main and telling issue is their almost daily violence on scales we who love our fellow man cannot comprehend. In fact, the scriptures of the Holy Bible show very clearly that it is the Almighty God Himself who will deal with all of their evil at His return to planet earth in power and great Glory! Again in the book of the prophet, a genuine prophet, chapter 57, and verse 21; The eternal God inspired Isaiah to write; There is no peace to the wicked! How would any “thinking” nation desiring peace obtain peace from barbaric acts of car bombings, road bombs, human bombs, truck bombs. The cycle of violence can only be broken when the truly brave stand up and say, “NO MORE”. The brave are not those who brainwash poor little children to blow themselves up in the presence of others whom their parents and other evil human beings “say” are evil, when the sad fact is that they are the ones themselves who are evil by their very actions. The Holy Bible states in the New Testament that God is not the author of confusion, but of peace, as in the churches of the saints. (I Cor.14:33) Is there any peace in these nations? What is the predominant religion in most of them? Therefore, their god is the author of confusion, of hate, of violence and murder, never peace! Sadly, mankind will not deal with the CAUSES of his problems, because they are essentially spiritual in nature as a man once said in the 2oth century, and that cannot be denied. General Douglas Macarthur stated that “it was to be of the spirit if we are to save the flesh”, a sentiment all but forgotten in a world filled with violence, compromise of morals, values, discipline, love and lost families. The following is his final address to the American congress, and below this is his actual transcript. Men since the beginning of time have sought peace. Various methods through the ages have been attempted to devise an international process to prevent or settle disputes between nations. From the very start workable methods were found in so far as individual citizens were concerned, but the mechanics of an instrumentality of larger international scope have never been successful. Military alliances, balances of power, Leagues of Nations, all in turn failed, leaving the only path to be by way of the crucible of war. The utter destructiveness of war now blocks out this alternative. We have had our last chance. If we will not devise some greater and more equitable system, Armageddon will be at our door.